Living with disability poses unique challenges. Today more than ever, home automation technologies are being used to meet people’s unique situations and abilities. The goal of smart home technology for persons with disability is to create spaces that cater to people’s needs and lifestyles, enhancing independence, quality of life and changing the way people experience and use their home. Smart homes are making the lives of people with disability and their carer’s simpler, fuller and more autonomous. This enables occupants to maximise their independence and privacy. Smart Home Technology makes connecting with others simpler and completing everyday tasks easier. It is automation that is operated through the touch of a button or voice activation via an individual’s smartphone, tablet or computer. Here are some examples of Smart Home Technology that can be installed in your apartment to enhance your lifestyle. Home automation technologies can be packaged and implemented to suit specific needs. This means that solutions can be tailored to match individual requirements. We understand that not everybody needs all levels of automation, therefore each apartment can be customised to a person’s needs depending on their NDIS plan. All Ability SDA Apartments come hard wired for future Smart Home Automation. “Every person living with a disability has different needs. Assistive Technology may be included in a participant’s plan if it is identified as a reasonable and necessary support that meets their needs and supports them to achieve better outcomes in life. 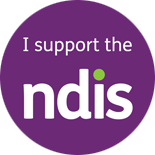 Assistive technology, or AT, as defined by the World Health Organisation, is ‘any device or system that allows individuals to perform tasks they would otherwise be unable to do or increases the ease and safety with which tasks can be performed’” – NDIS.